​Charles Doherty is the director of Instrumental Music at Damascus High School, leading two bands, a jazz band, and two string orchestras. He carries a Bachelor of Science degree in Music Education and a Master of Music in Trombone Performance from Duquesne University. 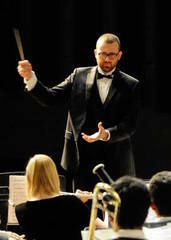 Mr. Doherty also serves as the conductor of the Concert Strings, a group with the Frederick Regional Youth Orchestra, and has conducted several senior and junior high honor bands. As a performer, Mr. Doherty has played with numerous groups in the DC area, including the Mike Kamuf Little Big Band, Blue Moon Big Band, Martinsburg Jazz Orchestra, Yesterday Swing Orchestra, the Montgomery Philharmonic, and the Trinity Chamber Orchestra. Joan Furlani has been teaching students of all age levels and abilities for 15 years. A graduate of the University of Rhode Island (Bachelors of Music in Flute Performance), she has a passion for helping beginner and intermediate students gain an enthusiasm for flute and an appreciation for music of varying genres and time periods. Joan performs with the flute duo Flutes Forte, and with the worship team at Derwood Bible Church. In addition, Joan has performed at various chamber recitals sponsored by the Flute Society of Washington, the Mid-Atlantic Flute Fair, and has played with the Trinity Chamber Orchestra, the Montgomery Philharmonic, and the Annandale Symphony Orchestra. After receiving degrees in music education and jazz studies from the University of Maryland, John Wambach began teaching band and orchestra in the Montgomery County school system. He currently teaches bands of all levels, as well as orchestra and jazz band, at Westland and Pyle middle schools. John loves working with students who are passionate about music, especially at the beginning and middle school level. A native of Salinas, Puerto Rico, clarinetist Ronald Vazquez holds a Bachelor of Music degree in clarinet performance from the Conservatory of Music of Puerto Rico, where he studied with Kathleen Jones and Genesio Riboldi, and a Master of Music degree in Clarinet performance from the University of Maryland at College Park under Edward Walters and Michael Rusinek. 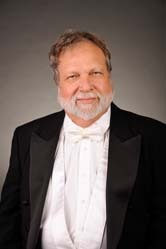 Ronald has been a member of the Conservatory of Music of Puerto Rico Symphony Orchestra, Camerata Puertorriqueña Chamber Orchestra, Piacere Wind Quintet, Puerto Rico's Mayormente Mozart Festival Orchestra, Puerto Rico State Band, and he has also appeared with the Puerto Rico Symphony Orchestra. Ronald has performed many recitals in Puerto Rico, Hawaii, Washington, D.C., New York, and Maryland. His former teachers include Kathleen Jones, Genesio Riboldi, Jose Velazquez, Michael Rusinek, Dr. Cecil Gold, and Ricardo Morales. He was also a clarinet and saxophone instructor at the Conservatory of Music of Puerto Rico continuing education program and a teacher supervisor/substitute for a special band training program. He has performed as a member of many contemporary music groups as a saxophone instrumentalist. In 1989, after many years as a free-lance clarinetist and saxophonist, Ronald joined the U.S. Navy. After completing basic training, Ronald attended the Armed Forces School of Music in Norfolk, Virginia. After completing the Armed Forces musicians’ training, his first assignment was the U.S. Navy Pacific Fleet Band, in Pearl Harbor, Hawaii, where he performed as a clarinetist in the wind quintet, the concert, ceremonial, and marching bands and as a saxophonist in the jazz and show bands. His next assignment was the U.S. Naval Academy Band in Annapolis, Maryland, where he reported for duty in 1991. His duties in this band included clarinetist in the wind ensemble and ceremonial band, saxophonist in the marching band and Recording and Sound Reinforcement Engineer for the wind and jazz ensembles and the band's recital series. Ronald authored and published "A Book for the Clarinet Reed-Maker," an illustrated single reed-making method for both clarinet and saxophone. He was also has been a contributing writer for the International Clarinet Association journal, "The Clarinet." Ronald is also pursuing a Doctor of Musical Arts degree in clarinet performance at the University of Maryland at College Park where he studied with Edward Walters. After leaving the US Navy in 1999, Ronald made a career change and is now an IT professional. At present, Ronald works for Medical Science and Computing where his title is Senior Linux Systems Engineer. He teaches clarinet and saxophone at the Music & Arts chain and for the Academy of Saint Cecilia Youth Orchestra. He also has stayed musically active as a member 257th Army Band since 2007.